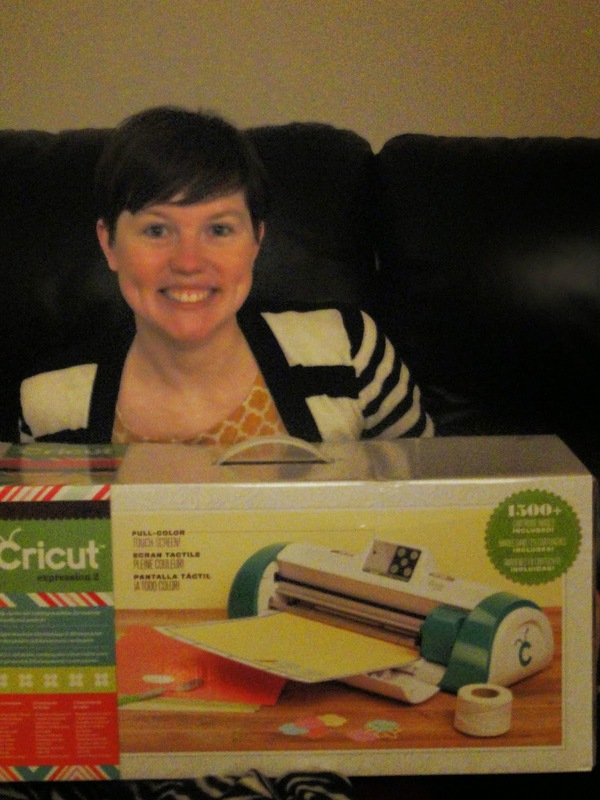 This past Christmas, my family surprised with a lovely gift indeed - a Cricut machine! It took me a few youtube videos last year to figure out what a Cricut actually did, and once I realized it could help me make better cards (I can't cut in a straight line and have terrible penmanship), I started hemming and hawing if it would be a purchase I needed to make. And here was my face immediately after Bob dropped my camera moments later. Hi, Mom! I had only tested the Cricut out a couple times so far, my jaw dropping when I saw how cool the blade attachment looked as it cut out my name, but was ready to use it for some real card-making last week. Our friends had twins about a month ago, so we wanted to send along a Congratulations card. 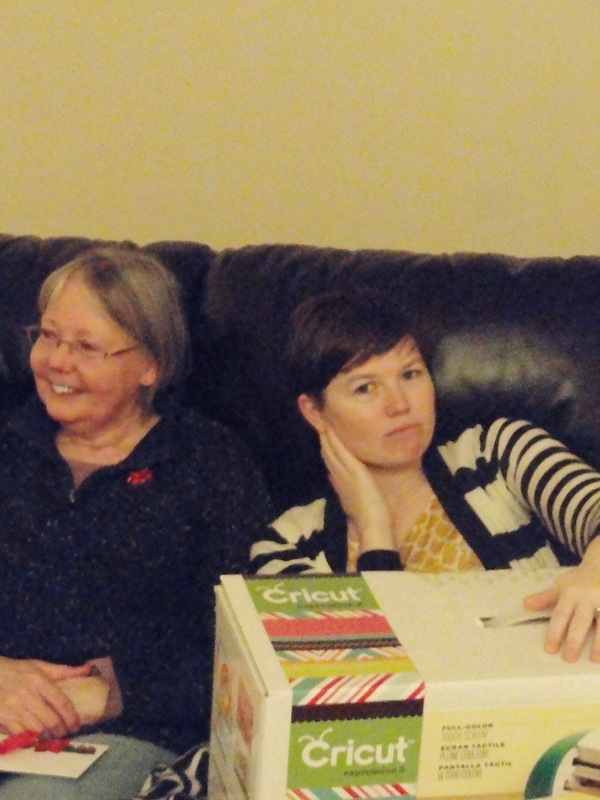 Something is in the air - we have three sets of friends in various stages of twin-dom! I entered the phrase "double trouble" into the Cricut and let it get to work, making 1/2 inch letters. Because of the small size of the letters and the more delicate type of paper I was using, I actually ended up preferring the cut out version vs. gluing the individual letters to the card. . . 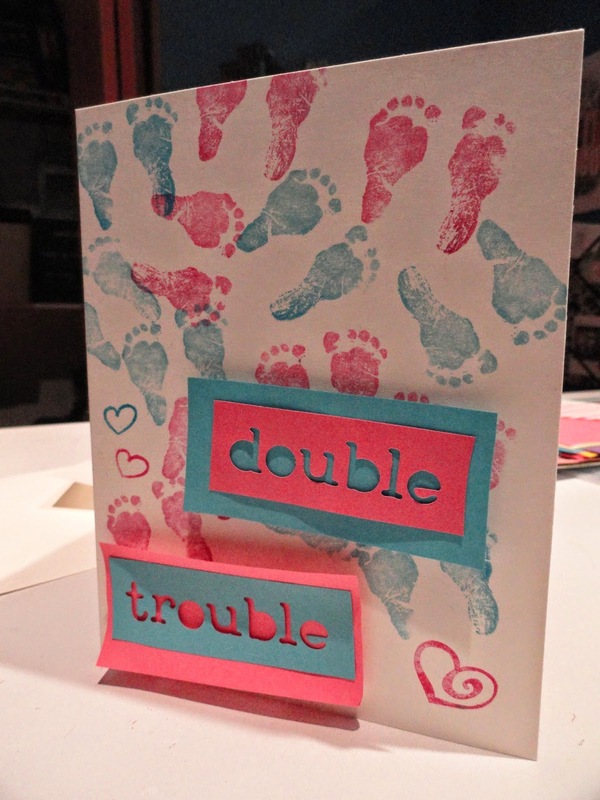 I used my baby footprint stamp in alternating blues and pinks to create the chaotic background. 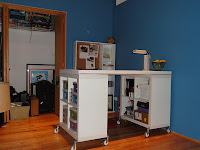 Something about the shades of pink and blue seem preppy 80s to me - in a good way, of course. Is anyone else picturing twin babies in popped-up collars and sunglasses? This small foray into Cricut-use was just that - a small start. Here's to more experimenting and youtubing to figure out all the things it can do for me! So far we've only tried out words and phrases, but I know there is a whole lot more.